I. Have. A serger. I mean, it's coming tomorrow. But I HAVE ONE. Just kidding, I'd sell one. Or just be special and have two. I bought a little fabric too. 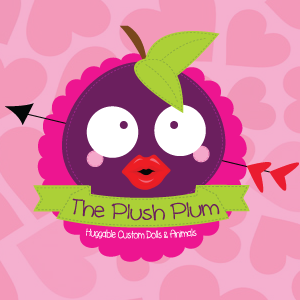 Lani from The Plush Plum (link goes to her Facebook business page) has been destashing, lucky for me! So I bought a little - only about 36 yards or so. :P (heehee - don't worry, it'll be used!!) While chatting about the fabric, we realized we have something to offer each other! Lani creates handmade cloth dolls (and they are ADORABLE), and they need some clothes. Guess what I've been trying to get myself set up to do?? If you guessed doll clothes, then you've probably talked to me. Or it's obvious, or both. So. Lani is sending me one of her beautiful dolls to use as a model, and I am (hopefully!) going to create some lovely little things, and she will sell them! Plus, soonish, I should have some stock for 18 inch dolls as well, and will be setting up my own Facebook page! And once I do you can bet I'll be sharing like crazy, and I hope you will too! This is a dream of mine, and it's finally coming true. Thank you, Lani, for the chance to get my name out and do something amazing*! *as long as I figure out the serger - hope it's as beginner-friendly as they say! haha! 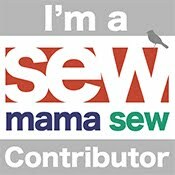 I loveeeee my serger! I also just picked up a doll-making pattern book from a library sale, I'm hoping to make a doll for my son before summer! I haven't even tried threading it yet, and I've had it for three days :( Lol - I'm still scared of it! Watching youtube videos tonight and breaking it out, I WILL conquer this thing! Dolls are so fun - I love watching the tiny outfits come together!